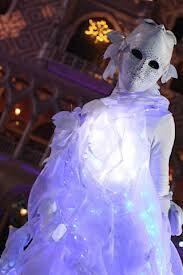 The Venetian / Palazzo Resorts Launch their Annual Winter in Venice Festival 2013. The weather is changing and the holiday season is fast approaching. There are worldwide celebrations and positive energy is contagious most everywhere you look.We have been fortunate to attend one winter celebration since its inception in Las Vegas.The Venetian and The Palazzo Las Vegas are home to their Winter in Venice celebration on the Las Vegas Strip, this year’s theme is "A Gift of The Venetian. "This third celebration of music, food and culture will feature 49 days of seasonal experiences throughout both resorts running Nov. 18, 2013 through Jan. 5, 2014. 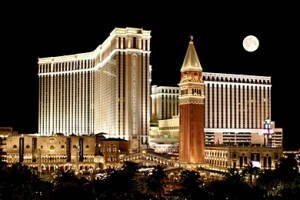 The 2013, a schedule of events include a nightly winter parade, tree-lighting ceremonies, a stunning 3D light projection show,an elaborate Winter in Venice fantasy scene in The Palazzo Waterfall Gardens, and a romantic skating rink above The Venetian's romantic outdoor Grand Canal. "The holidays are such a magical time for everyone and Winter in Venice offers the perfect place to truly enjoy this special time of year,"said John Caparella, president and chief operating officer of The Venetian, The Palazzo and Sands Expo. "Winter in Venice finds its inspiration in the folklore and tales that generations of Italians have grown to know and love,"said Caparella.“Those stories have filled the imaginations of generations of Venetians with the experiences of festive holiday seasons coupled with the long-treasured spirit of giving and sharing.Within these tales are the characters that exemplify the good will, the fun and the excitement of the season." The Venetian's front exterior facing the Las Vegas Strip will be adorned in winter schemes reminiscent of the city of Venice.Thousands of festooned lights will hang over a majestic ice skating rink as large snowflakes, ranging from 48 to 72-inches in diameter, surround the façade of The Venetian. This extravagant celebration will kick off with the Celtic Woman: Home for Christmas,The Symphony Tour, at 8pm on Nov. 22-23 and Nov. 27-28. The 90-minute show features music from the all-female music ensemble's second Christmas album, Home For Christmas, including holiday favorites "I'll Be Home for Christmas" and "Silent Night." 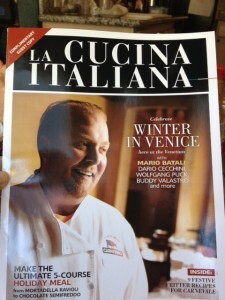 In addition to the daily events there will be two specialty weekends that are definitely a reason to visit and enjoy.First up is La Cucina Italiana Weekend, with Chef Mario Batali and Buddy Valastro (Dec 6-8): In conjunction with Southern Wine and Spirits of Nevada, La Cucina Italiana magazine will feature a three-day event celebrating the epicurean traditions of Italy. La Cucina Italiana, the undisputed expert on Italian food, wine and culture worldwide, will feature a weekend of food demonstrations, wine dinners, and other culinary-centered activities to keep your palate in the holiday mood. 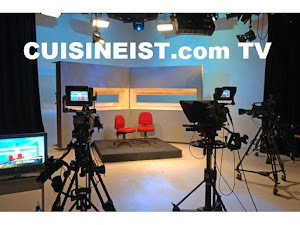 The exciting Culinary Clash Weekend, with Chef Emeril Lagasse is (Dec 13-14): Guests can witness the best Chefs of the resorts compete to see who will be named winner of the second Culinary Clash Master Chef Competition. 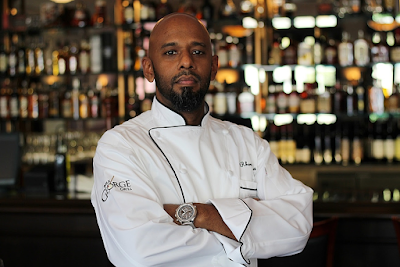 The competition, which unfolds over the weekend, is open to all chefs at the food and beverage venues located inside The Venetian and The Palazzo.These chefs will vie for the prestige of THE VENETIAN CULINARY CLASH AWARD. It is not all about Italian gastronomy at Winter in Venice,a mixology cocktail competition will feature scheduled appearances by Tony Abou Ganim, Francesco Lafranconi and Dale de Groff, each recognized as being among the greatest mixologists in the country. Over this culinary extravaganza, a seasonal Winter in Venice cocktail menu, including holiday-inspired spiced cocktails such as Gondolier Blanco, will be available throughout the resort lounges, including The Bourbon Room, Zebra Lounge, Bellini Bar, Fusion Mixology Bar and Laguna Champagne Bar. Certainly to join in the spirit of the season, Holiday-themed prix fixe menus and specials will be offered by select world-class restaurants throughout the holiday including Aquaknox, B&B, Bouchon, Canaletto, Canyon Ranch Café, Delmonico, FIRST Food & Bar, Grand Lux Cafe, Pinot Brasserie, Postrio, Table 10, and LAVO Italian Restaurant. 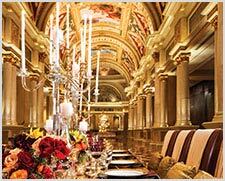 What more can you say but hop a train, plane or drive to The Venetian / Palazzo resorts and enjoy 49 days of true culinary and artistic bliss. See you on the rink at Winter in Venice. 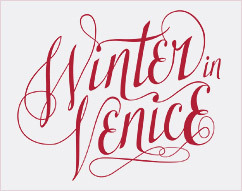 For more information on Winter in Venice please visit thttp://www.venetian.com/winterinvenice. Paso Robles CAB Collective Predicts a Remarkable Vintage. Association members share thoughts on the 2013 harvest. 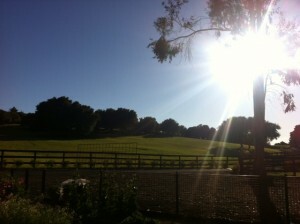 We have visited Paso Robles for more than 10 years and are very familiar with the AVA. 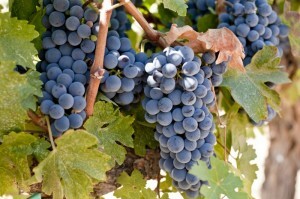 Known for Zinfandel and Rhone varietals the unique AVA also produces fabulous Cabernet Sauvignon and other Bordeaux varietals that unfortunately don’t get the respect they deserve. There is one group of renown winemakers that are changing that . Formed in 2012, the Paso Robles CAB (Cabernet and Bordeaux) Collective (PRCC) is an independent collaborative effort of leading Paso Robles growers and producers of Cabernet and Bordeaux varietals specific to the Paso Robles AVA in California. The group strives to promote the full potential of the Paso Robles region in producing superior quality, classic and age-worthy Cabernet and Bordeaux varietals . Members of the Paso Robles CAB Collective (PRCC) recently joined fellow vintners and growers across California in praising the virtues of the 2013 harvest. At the top of the list are an early start to the growing season, long hang-time and near-absence of inclement weather. This prestigious group seeks to improve awareness among consumers and retailers worldwide regarding the distinctive attributes of Paso Robles Cabernet as well as other Bordeaux varietals. Current members include: ADELAIDA Cellars, Ancient Peaks Winery, B&E Vineyard, Calcareous Vineyard, Chateau Margene, DAOU Vineyards & Winery, Eberle Winery, HammerSky Vineyards, Hunt Cellars, J. Lohr Vineyards & Wines, Le Vigne Winery, Jada Vineyard, JUSTIN Vineyards & Winery, L’Aventure, Parrish Family Vineyards, Record Family Wines, Robert Hall Winery, Sextant Wines and Vina Robles. The next time you are in the area , stop in to one of these wineries and sample a world class Cabernet Sauvignon than can stand against any on the world stage.